Club Service focuses on making clubs strong. A thriving club is anchored by strong relationships and active membership. 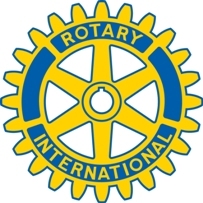 Youth Service (link to a Youth Service Page – copy, logos and images on following pages) recognizes the importance of empowering youth and young professionals through leadership development programs such as Rotaract, Interact, Rotary Youth Leadership Awards (RYLA), Rotary Youth Exchange and EarlyAct.